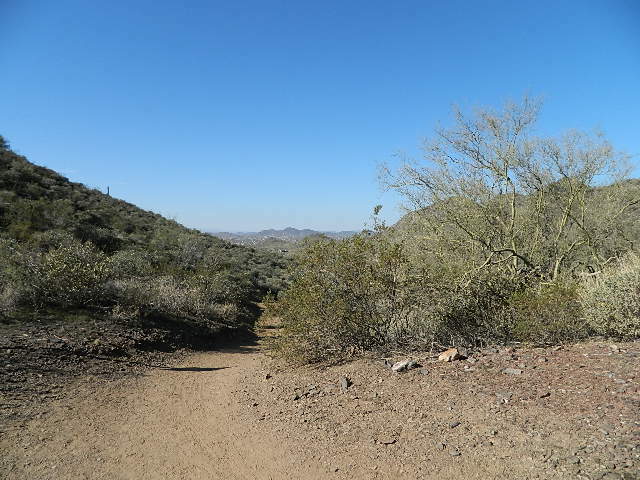 I completely forgot to blog about this…a couple weekends ago (actually, SuperBowl Sunday…none of us are really sports fans), Dad and I went hiking up in Cave Creek Regional Park. The photos made it onto Facebook, but somehow didn’t quite get to the “being written about” stage. 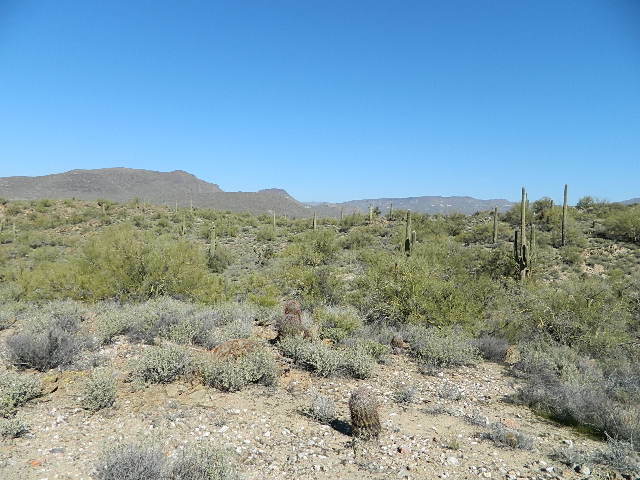 Cave Creek (hereafter abbreviated as “CC”) is at the north-northeast part of the Valley, a little less than an hour from my house, easy freeway driving the whole way. 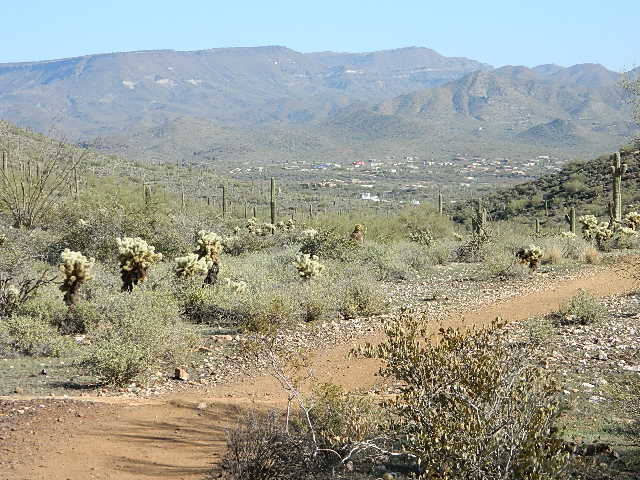 CC is a very horsey community, with both CC Regional Park and Spur Cross Recreation Area offering riding trails, as well as being surrounded by hundreds of miles of trails, off-road tracks, and Forest Service roads on State Trust Land and the Tonto National Forest. 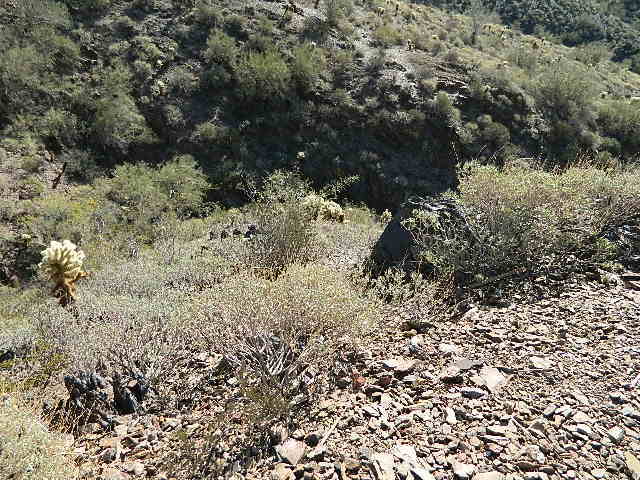 Our goal, having never ridden in the area, was to do some scouting for future riding endeavors. 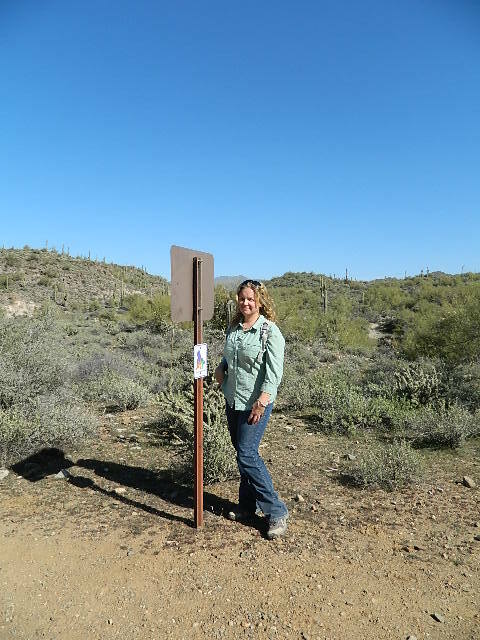 Great hiking trails. 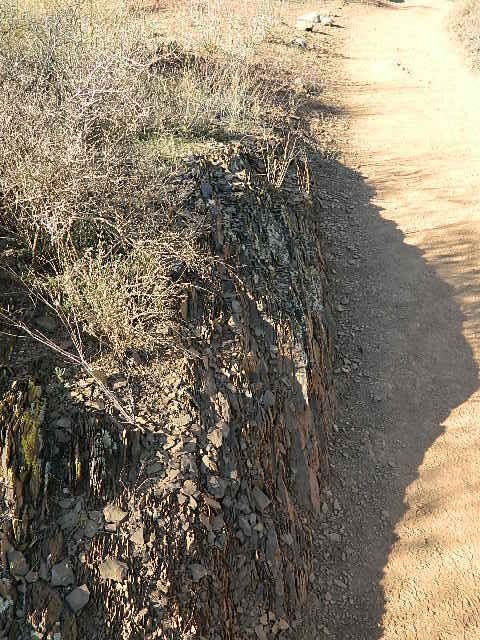 Great trail training trails…as long as you can guarantee no other trail traffic, since if you met a bike on parts of this trail, your options are pretty much a vertical up or a vertical down, topped by a whole bunch of layers of loose, sharp shale and slate. Sadly, I don’t have pictures of some of the more interesting, technical stuff. I was too busy trying to stay upright on my own two feet. Layers upon layers of shale, slate, and granite. 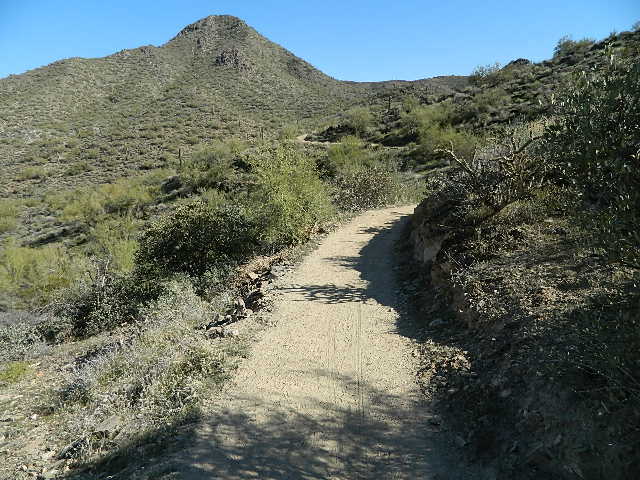 Smooth section of trail. It didn’t last. as both flooring and accent in homes around here? Deeeeep crevice. Very deep. Don’t fall in. 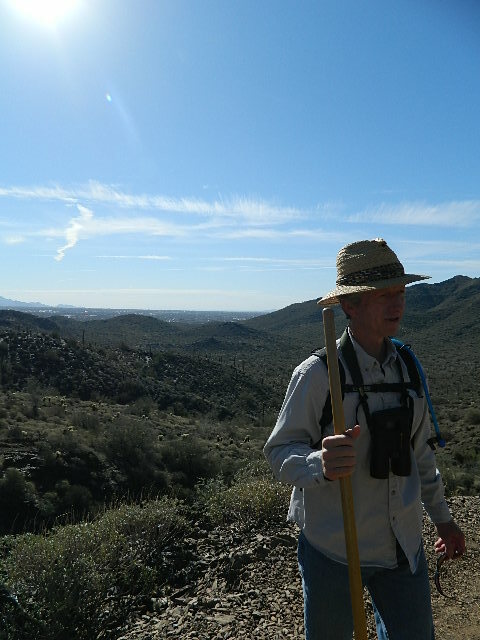 My father is All Business with his Serious Hiking Pole. He also didn’t know I was taking his picture. Heehee. More overview. A bit of the trail visible on the left. 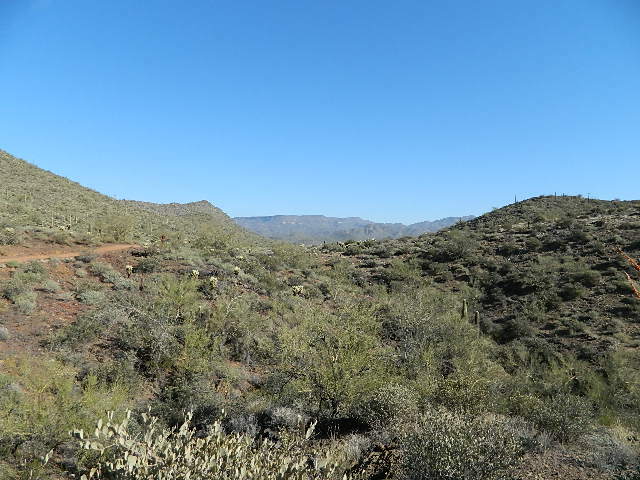 Looking into the town of Cave Creek. Went “off-roading” to do some exploring. 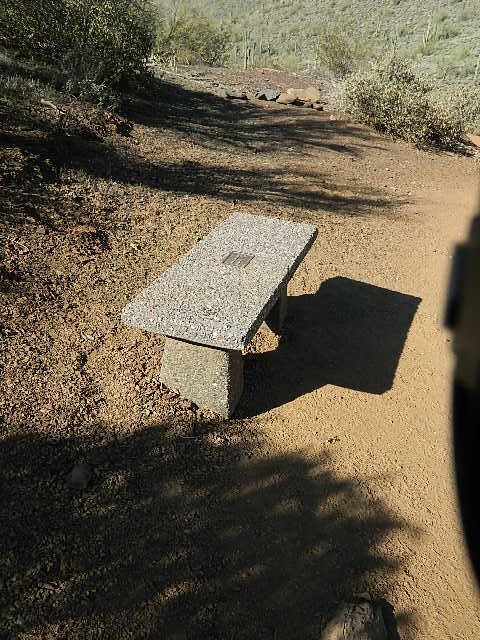 Really, this is a trail. 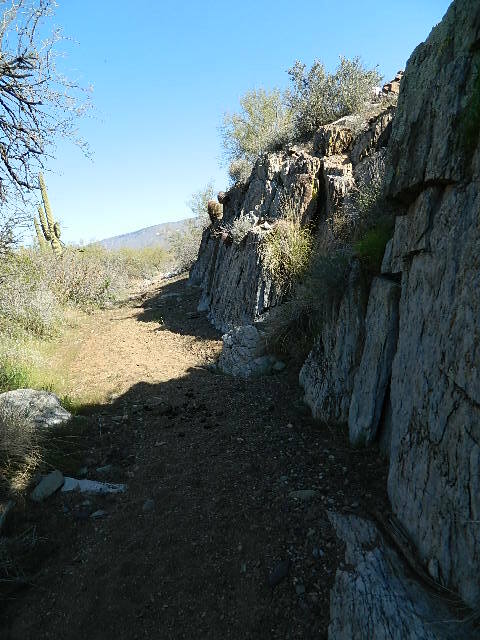 Very cool solid rock wall next to the trail. My desert grows cactus out of rocks. Can your desert do that? Looking north towards Spur Cross. that runs right behind my house. I just discovered this the other morning. I’m not actually rolling my eyes… I’m squinting into the sun. when I was actually glad not to be on horseback. So CC is a really pretty park, just different enough from my usual stomping grounds that I enjoyed the change of scenery. The verdict as a riding destination? Not very likely, unless the Tonto and Trust Land have some better trail offerings. CC is just too crowded, with too much traffic and not enough options for avoiding said traffic or getting out of the way. 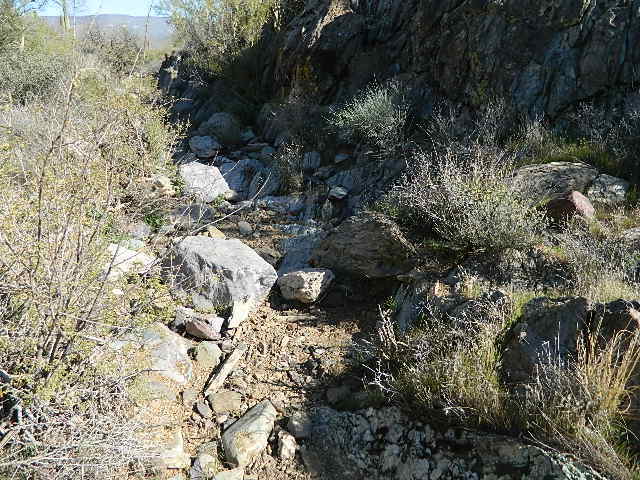 But there’re still other trails we didn’t explore that might offer better options. It takes a lot for me to write off a place as riding potential, so I haven’t given up on this park yet. And I know I’ll definitely be back to hike it again! 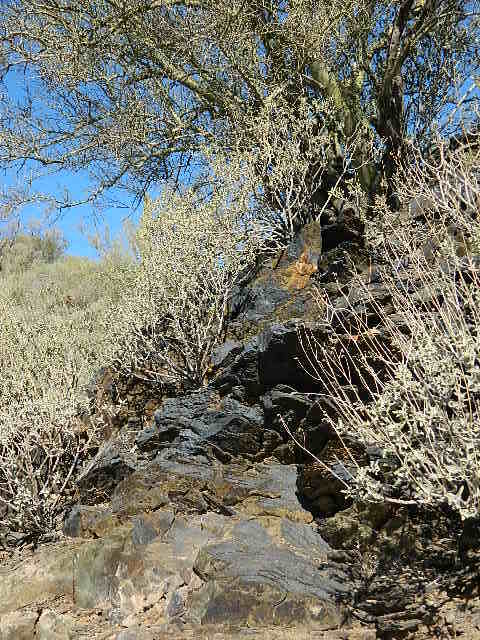 We ended up doing about an 8.5-mile hike…lots of up and down, lots of rocks. New empathy for the horses and how difficult balancing over rocks is and how it can tire them out so quickly. What a neat area! 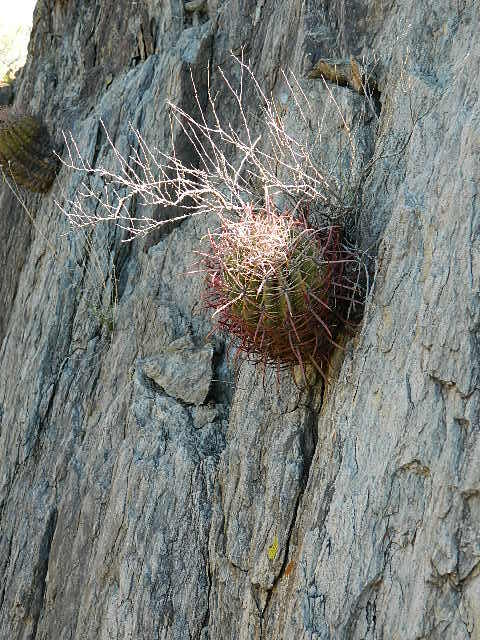 And I love the little cactus growing out of the verticle rock face. Looks like a great place for a hike. Do they allow dogs on the trail? They do, provided they're on a leash. 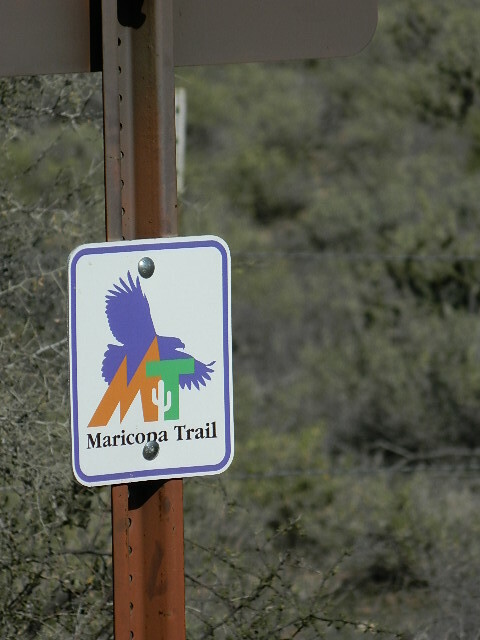 Multi-use trails, open to everyone except motorized vehicles.